Carbon nanotubes are the nano-sized tubular structures made up of rolled sheets of carbon. The carbon molecules are strongly bonded to each other by van der Waals forces that lead to development of lightweight nanotubes with superior tensile strength, flexibility, and high electrical & thermal conductivity. Due to this, they are extensively used in energy storage, molecular electronics, filtration, biomedical and structural applications. 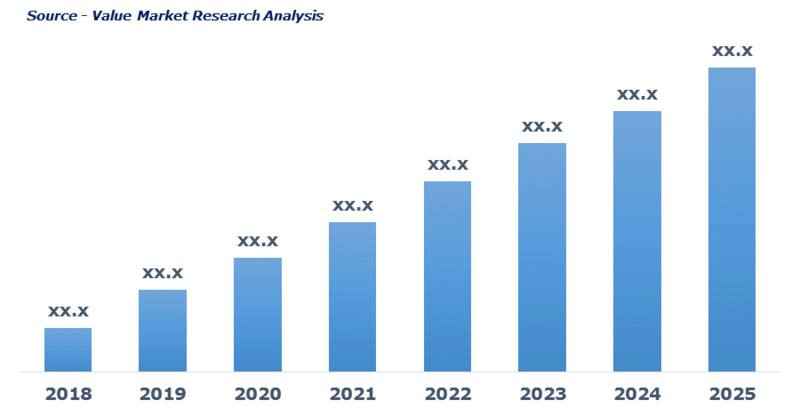 The expanding application arrays including field emission displays, integrated circuits, lithium batteries, solar cells, PV cells, and others are driving the market growth. Excellent properties such as lightweight, better strength & flexibility and high electrical and thermal conductivity have created a huge demand for carbon nanotubes. Additionally, soaring demand of smartphones, tablets, laptops and consumer electronics is further boosting the market demand. However, high manufacturing cost with a complex manufacturing process is expected to restrain market growth. This detailed market study is centered on the data obtained from multiple sources and is analyzed using numerous tools including porter’s five forces analysis, market attractiveness analysis and value chain analysis. These tools are employed to gain insights of the potential value of the market facilitating the business strategists with the latest growth opportunities. Additionally, these tools also provide a detailed analysis of each application/product segment in the global market of carbon nanotubes. The broad carbon nanotubes market has been sub-grouped into type, application and end-user industry. The report studies these subsets with respect to the geographical segmentation. The strategists can gain a detailed insight and devise appropriate strategies to target specific market. This detail will lead to a focused approach leading to identification of better opportunities. Furthermore, the report comprises of the geographical segmentation, which mainly focuses on current and forecast demand for carbon nanotubes in North America, Europe, Asia Pacific, Latin America, and Middle East & Africa. The report further focuses on demand for individual application segments in all the regions. The report also covers detailed competitive landscape including company profiles of key players operating in the global market. The key players in the carbon nanotubes market includes Arkema S.A, Arry International Group Limited, Carbon Solutions, Inc., CHASM Advanced Materials, Inc., Cheap Tubes, Hanwha Chemical Corporation, Hyperion Catalysis International, Kumho Petrochemical, Nano-C, Nanocyl SA, NanoIntegris Inc., Nanoshel LLC, OCSiAl, Showa Denko K.K., Thomas Swan & Co. Ltd. and Toray Industries, Inc. An in-depth view of the competitive outlook includes future capacities, key mergers & acquisitions, financial overview, partnerships, collaborations, new product launches, new product developments and other developments with information in terms of H.Q.